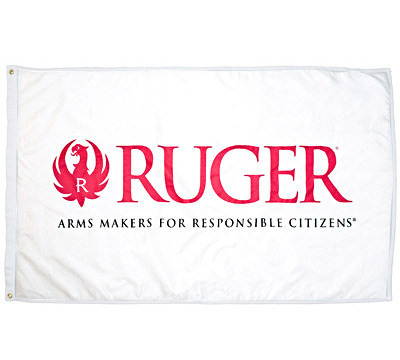 White, single ply nylon flag features Ruger logo and moto. Features 2 grommets and is 3' x 5'. Made in the USA by World Division.